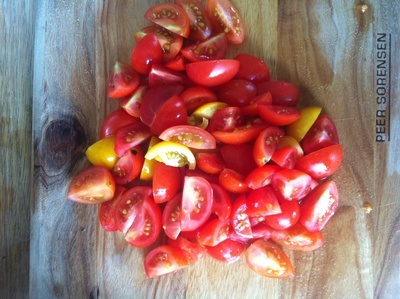 A fresh summer cherry tomato salad with super sweet honey balsamic vinegar. 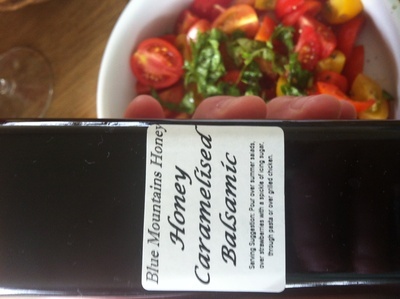 Caramelised honey balsamic is a dressing that is finger licking delicious. It is not savoury but sweet and delicious. 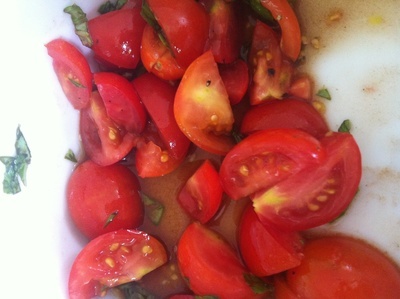 It goes so well with fruit, like tomatoes whilst the basil add the extra tang and freshness. I have served this up for my kids many times and they can't refuse it; they absolutely love the sweet flavours of this salad. If you don't have caramelised balsamic, then just mix equal parts of honey and balsamic vinegar together and you have a perfectly sweet salad dressing. I go to my local 'honey hut' and their balsamic's are absolutely delicious so I prefer to buy the local food. 3 tablespoons of honey caramelised balsamic or if you don't have this, mix honey and balsamic vinegar together in equal amounts. 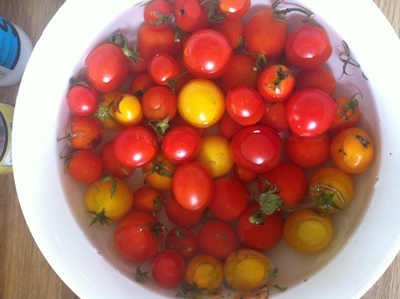 Pick and prepare the cherry tomatoes. Slice the tomatoes up into fours. 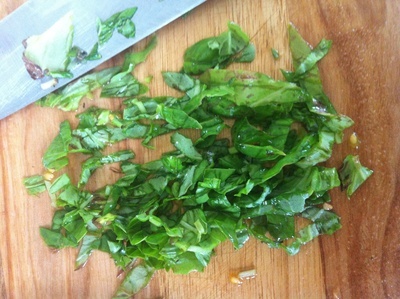 Sprinkle the basil and salt and pepper. Serve up on toast, as a salad or as a side dish.